Did Stevie J and Faith Evans get married?! - Ooooooo La La! 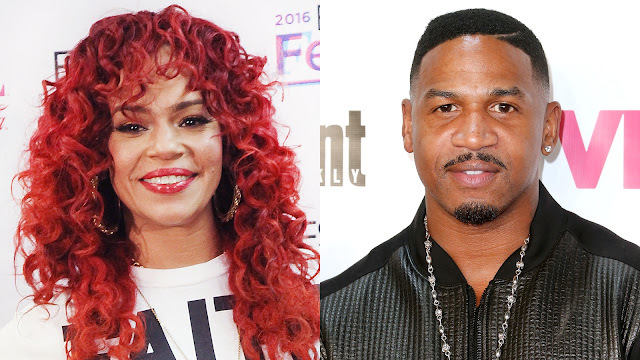 Did Stevie J and Faith Evans get married?! Are Stevie J and Faith Evens really married or are they trolling? UPDATE: According to TMZ, Stevie and Faith are in fact married! So, it looks like Stevie J and Faith Evans got married! Late last night, Stevie professed his love for Faith on Twitter and called her by his last name when he tweeted: "Faith Renee Jordan." And, there's rumors swirling around that the two eloped in Vegas. Seeing so many blessings it don’t make no sense. God it great! The record producer / Love & Hip Hop star and R&B singer recently premiered a snippet of their intimate video “A Minute." The two former Bad Boy artists collaborated on the new music single that’s planning to drop on July 27. One of the video scenes even shows Faith's arms wrapped around Stevie as he rubs down her back.